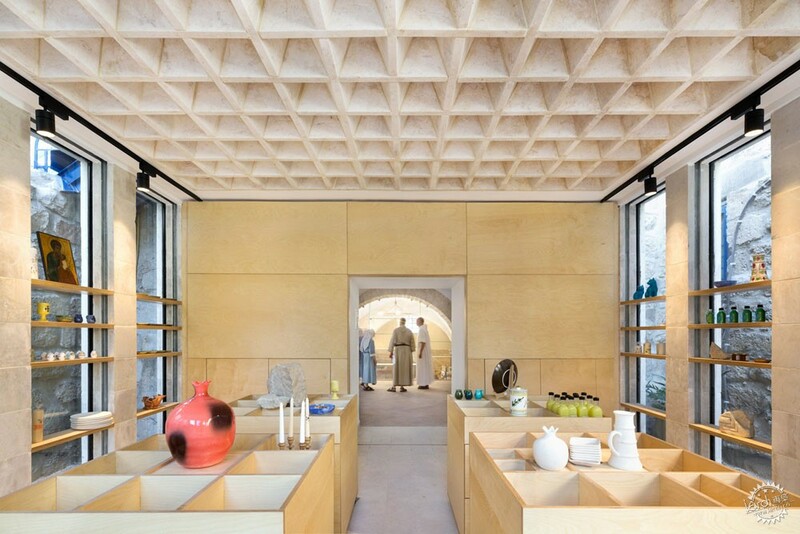 Bethlehem-based studio AAU Anastas has designed a flat stone-vaulted extension to a 12th century monastery built by the Crusaders in Jerusalem, to house a gift shop. 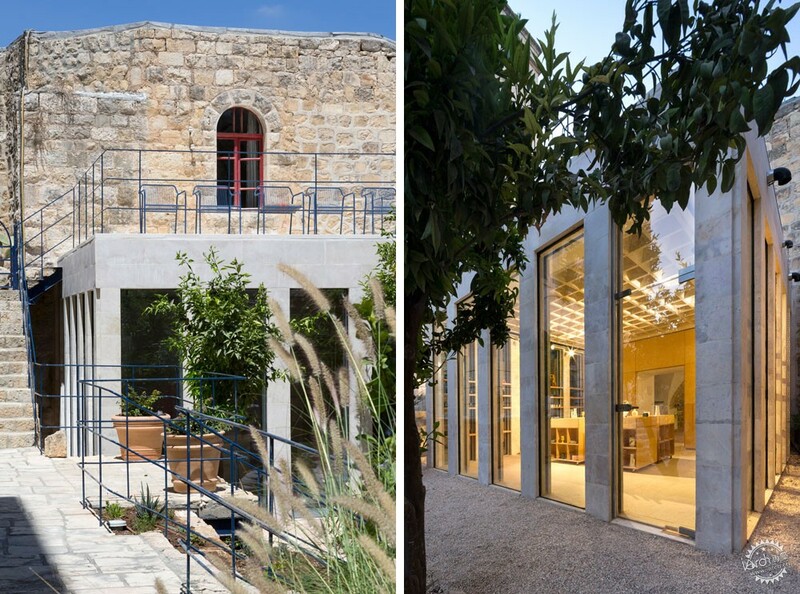 AAU Anastas designed the gift shop to be a contemporary structure that respected the historical context of the St Mary of the Resurrection Abbey in Abu Ghosh – one of Jerusalem's most significant examples of witness of Crusader architecture. 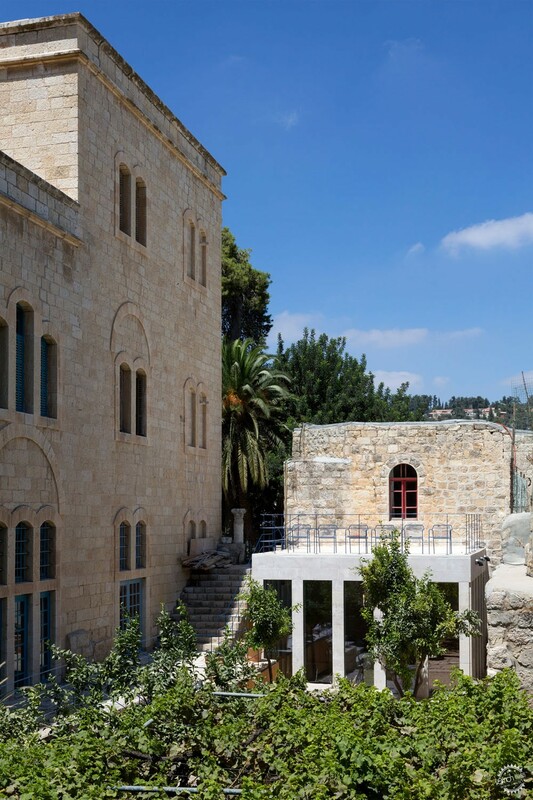 The Crusaders in Palestine were known for using a combination of different architectural elements that they brought from abroad alongside local elements. 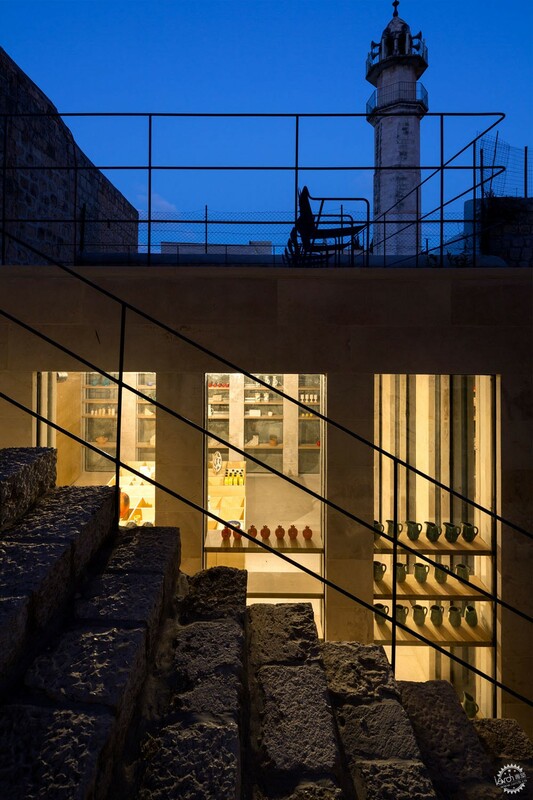 Working with local stone masons, the studio adapted existing construction principles using novel design and new fabrication methods. 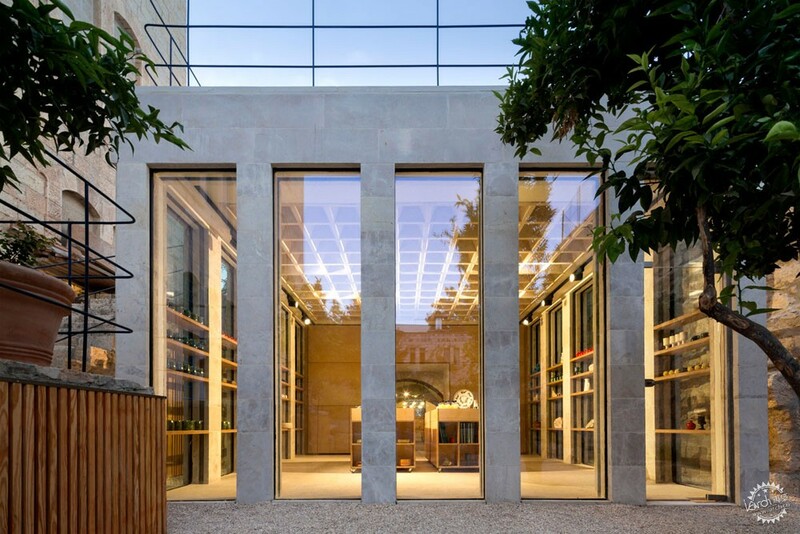 Functioning as an extension to the existing gift shop, the structure connects with the monastery building on one facade. 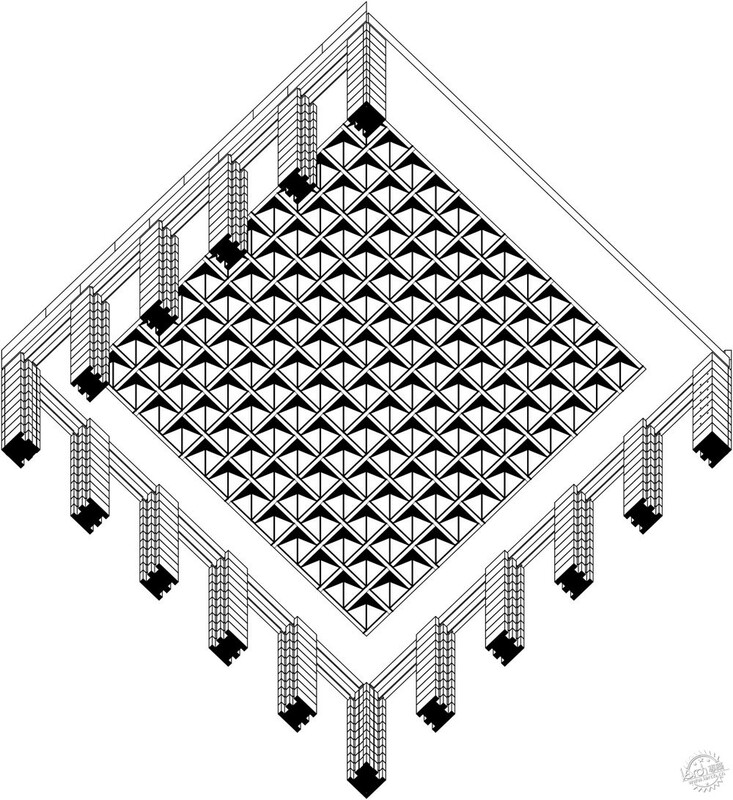 Its grid-like ceiling is composed of 169 interlocking wedge-shaped stones that rest on massive stone columns. 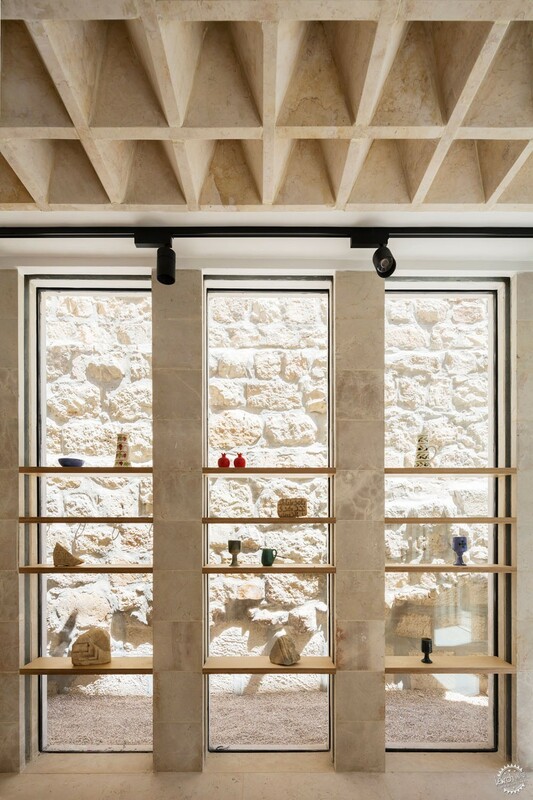 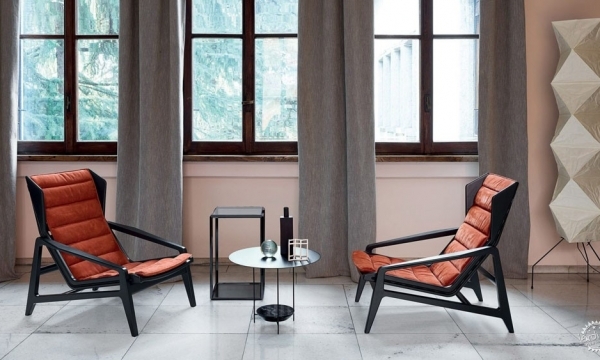 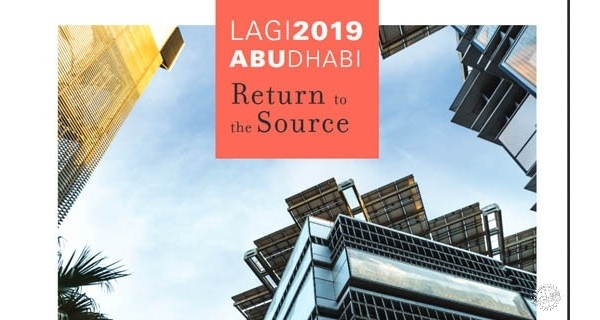 The system for interweaving the stones is inspired by the invention of French engineer Joseph Abeille (1673-1756), who patented a special system that allowed the building of flat vaults in 1699. 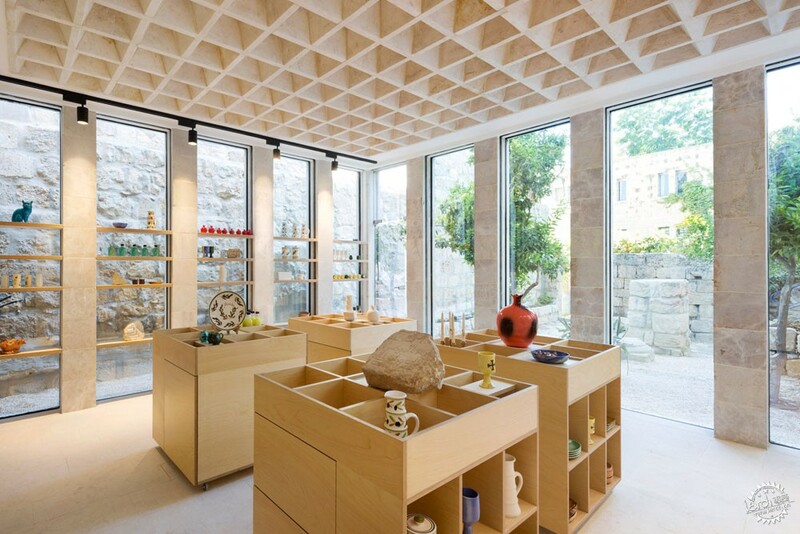 "The new shop was conceived as a stone structure," said AAU Anastas. 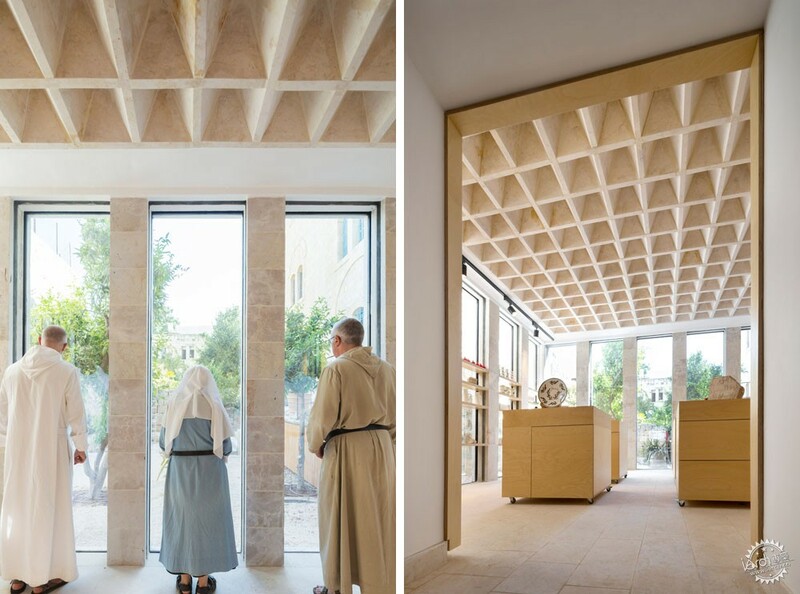 "Just like most of the architecture of the monastery – including the church's crypt – the soundness of the structure relies on a delicate work of stereotomy." 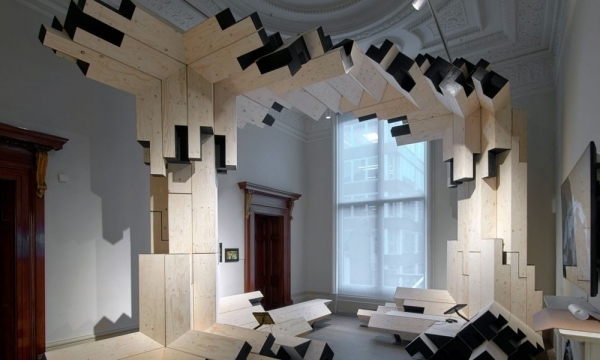 "The techniques used for the construction rely on novel design and simulation techniques of the structure's structural behavior, as well as on fabrication and mounting methods allowing for the assembly of precise topological interlocking," continued the studio. 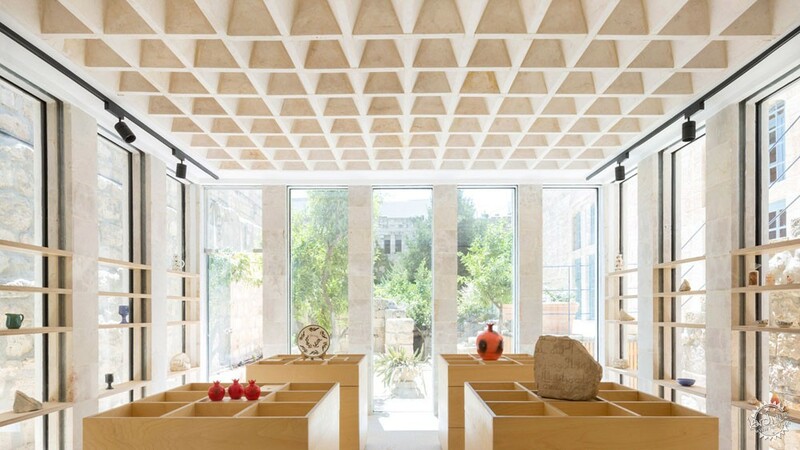 The studio said that the woven stones are the first reinforced flat stone vault of such a scale. 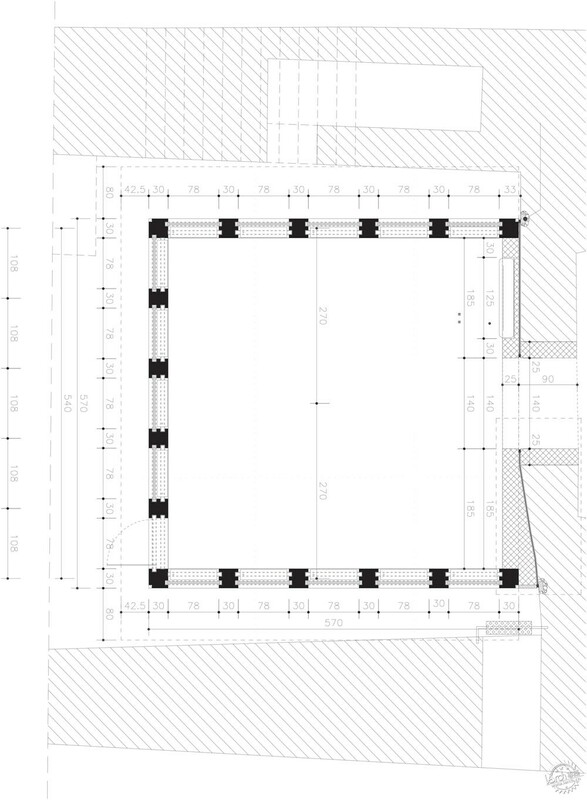 The new shop's square plan is organised around a sequence of columns that line the structure's three facades. 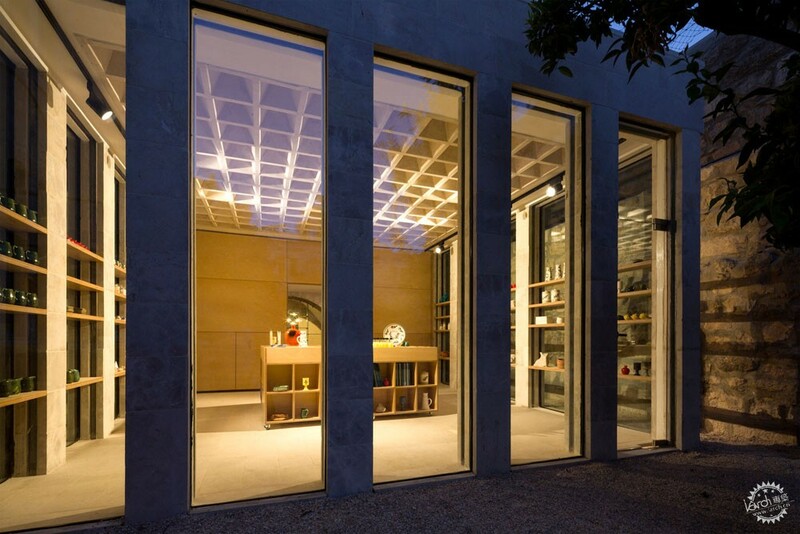 Inside, the massive stone columns support display shelving that span across the shop's windows. 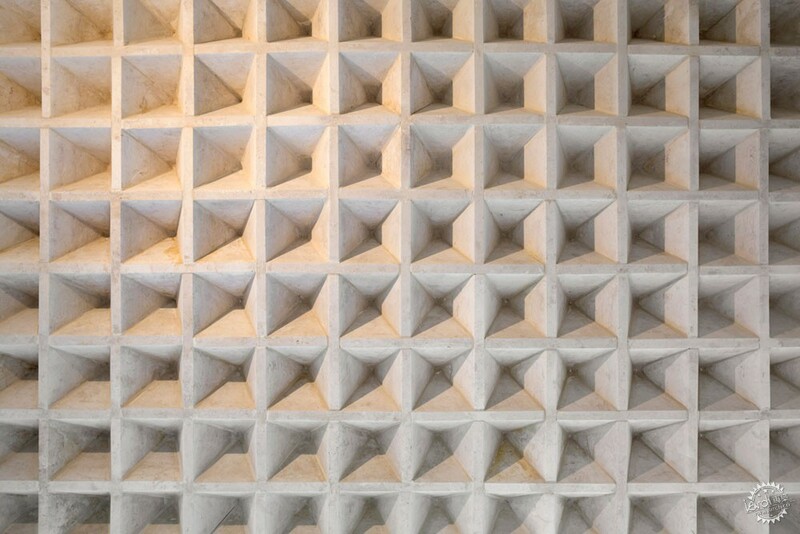 AAU Anastas are known for creating experimental stone structures. 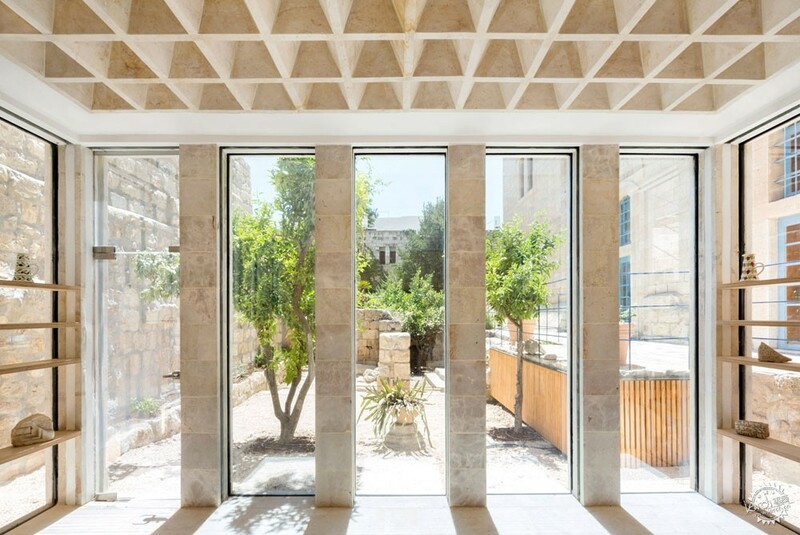 Previously the firm has made a latticed canopy in Jericho made from three hundred individually cut and mutually supporting stone pieces, and a stone tower made from curvy stone blocks cut by robots.